When I moved to Crail a couple of months ago, I quickly ran into a problem: I don’t have good mobile phone reception in my house. I’m on EE. After making a couple of calls standing out on the road, I knew that I needed to find a better solution. While searching online to see if I could buy some kind of mobile signal extender, I discovered that EE offers WiFi Calling. 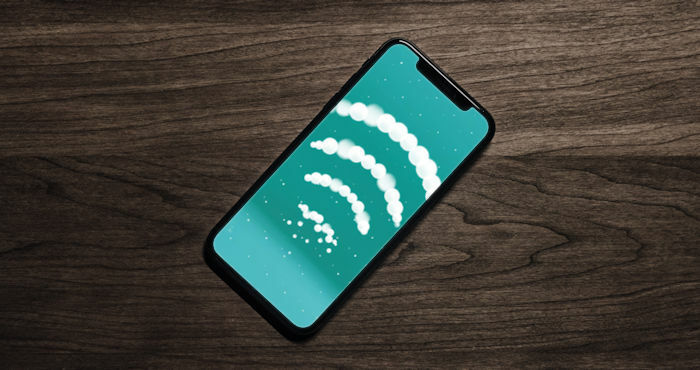 A bit like Skype Calling, EE WiFi Calling uses your broadband connection to route calls to the EE network. So you can make phone calls or send and receive text messages even if you don’t have a phone signal. It only works if you are on an EE pay monthly plan (not pay as you go, yet). You need a compatible phone. Find out more about how to use EE WiFi Calling and which handsets support it. If you’re on an EE monthly contract and your phone supports it, I wholeheartedly recommend switching on EE WiFi Calling. When I have a good signal my phone uses the EE network, but as soon as I don’t then my phone automatically switches to using WiFi to route calls and text messages. And as I’m also a BT customer, I can use BT WiFi to use any of the 5 million WiFi hotspots around the UK. Bonus! This week marks the end of an era. 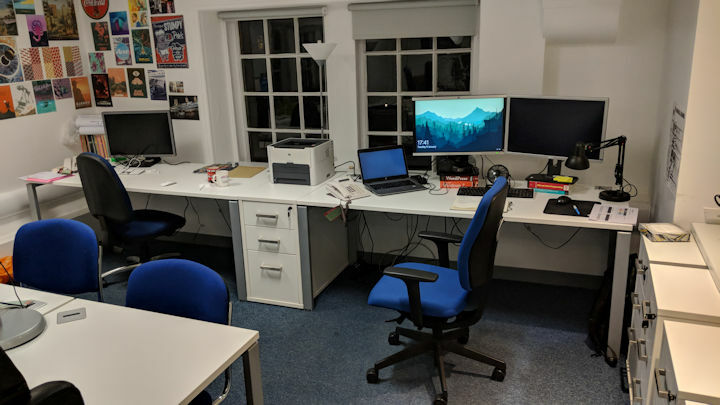 On Sunday 5 August, after 4,480 days—12 years, 3 months and 5 days—I ended my employment at the University of St Andrews. Over these 147 months, I’ve seen a huge change in the web development landscape. When I joined the team (of one—the perfect introvert’s team size) in May 2006 as assistant web manager/information architect, the second browser war was still going on. Internet Explorer 6 was still the dominant Windows browser, Firefox was a four-year old upstart and Chrome was still two and a half years away. My first proper project—after dabbling with some designs for a Press Office website redesign that didn’t come to anything—was to wrestle with Saulcat, the University’s library catalogue system. Who can fail to be impressed with online documentation for a third-party system that you’ve barely ever used that runs to literally tens of thousands of pages? That was also the first project that ever made me cry. There was an excitement back then. We were on the cutting edge. Pulling an almost all-nighter to get the new site launched in TERMINALFOUR Site Manager v5.0, only to discover that some part of the design didn’t work in IE7 as soon as we went live, and the frantic scramble to get it fixed. Our focus was so much on the technology: the browser wars were still going. LUKE SKYWALKER You fought in the Browser Wars? OBI-WAN KENOBI Yes. I was once a Web developer, the same as your father. LUKE SKYWALKER No, my father didn’t fight in the Browser Wars. He simply used Netscape Navigator on a spice freighter. OBI-WAN KENOBI That’s what your uncle told you. He didn’t hold with your father’s ideals—an open, accessible and universal web. Having come through some pretty hairy health problems (viral meningitis, anyone? 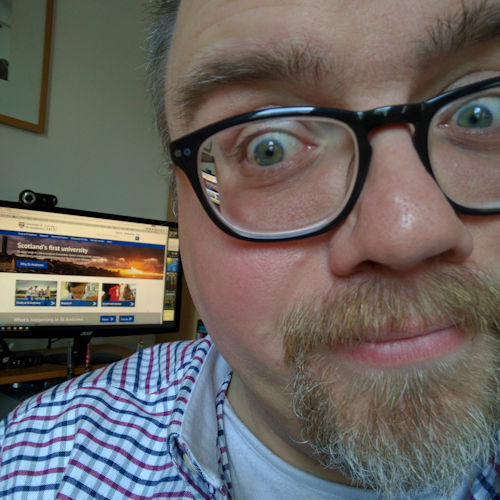 ), plus a divorce, wardenning in hall (“I’ll sleep when I’m dead!”), and then a recent bowel cancer health-scare (from January through to April), I realised that I needed to start looking after myself for a while. That’s not something that comes easily to me—I find it more natural to care for others. I have worked pretty much flat out for at least the last 21 years—I’ve poured myself out into each job and given everything that I can. Earlier this year I simply felt broken, burned out with little left to give. The last four months have provided a useful buffer to rest and heal and reflect on my future. When I was going through the pros and cons of leaving the University, the biggest pro of staying was being with people that I’ve been fortunate to call my friends, in some cases, for the last 26.24% of my life. But that wasn’t enough to keep me at St Andrews—I can always keep up with my friends outside of work-hours. I am proud of what I have achieved at St Andrews, and what we as a team have achieved. I have been blessed by the friendships that I have made there. But it is time to change pace for a while and allow myself to heal more fully and gain a little more perspective. So, I have decided to take a short sabbatical. I will focus on my health, on eating more healthily, on cycling and walking, on resting and focusing on my mental health too. Then I will turn my attention to whatever is next. As far as employment goes, it’s not as though I’ll be falling off the edge of the world. I have a few irons in the fire, as they say—all still in digital/web development. I’m excited about what’s next. All will be revealed in due course. In the meantime, I am simply enjoying life, enjoying being with my children, and with those I love. Feels good to me. Fun fact: as I’m taking a sabbatical, I decided to use a lot of Black Sabbath (geddit?) song titles in this post. See if you can find them all.